This is the only construction math calculator specifically designed for heavy construction professionals and excavator. Built-in functions help you quickly find solutions for area, volume, weight, slopes, swell and shrink, cut/fill and more. With the HeavyCalc Pro you'll save time, eliminate costly errors and reduce material and labor expenses. Quickly calculate areas, volumes, right angles, and more for construction projects using the HeavyCalc Pro heavy construction math calculator from Calculated Industries. This calculator is made specifically for engineers, designers, excavators, and other highway and heavy-construction professionals. Built-in functions allow you to determine area, volume, weight, slopes, swell, shrink, cut/fill, and more, making it easy to plan equipment and manpower needs and estimate jobs. Included with the calculator is a hard case for added protection. Using the HeavyCalc Pro's dedicated length, width, and depth keys, you can quickly determine areas and volumes and convert between a variety of measurements, including feet-inch fractions, decimal yards, meters, millimeters, and more, as well as square and cubic measurements. The calculator can also instantly yield right angles, calculate weight per volume for particular materials, determine soil volumes, and produce cut/fill estimates. 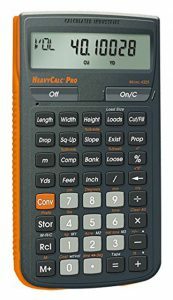 The HeavyCalc Pro heavy construction math calculator is equipped with a number of time-saving features, such as a "paperless tape" function that lets you review the previous 20 entries to check plans and confirm dimensions. Other highlights include a preference setting for fractions, repeat operator and constant functions that help reduce keystrokes, and a per-unit key that allows you to estimate material costs. 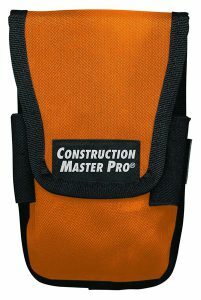 I purchased this construction math calculator as a gift for my husband, who is taking a Heavy Equipment Operator Course. He loves it and says that it will help immensely! Bonus points for this wife! Thank you!! I'm an inspector for and engineering firm. I use this construction calculator for everything from job quantities to payment applications. It does things the calculator on my phone doesn't and saves several steps from long hand calculations. i.e. time. Slopes, Drops, Grades, Elevations, Hypotenuse lengths for square ups and percentages to name a few of my favorite functions. If your job is hard enough, crunch some numbers and see if making it easier isn't worth the price. Also look for apps from Calculated Industries for your phone. When everything is going on around you and the long hours are wearing you down, and you have to make those calculations to ensure you are on the right track. This calculator will ensure you have the right conversions and calculations done. I keep this in my pocket while wearing the bags and working with the crew. After 5 years its still in one piece and the easy reference book that stores in the back of it is still usable. The front cover did pop off the hinges, so it doesn't stay on after I flip it open. While the cover is over the key pad it stays on securely. 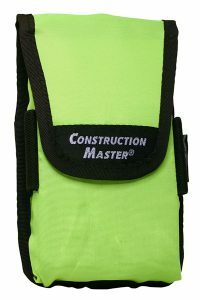 This is the BEST heavy construction math calculator for site work use and is our second one. The first still works fine and just wanted one in one of our trucks. Additionally, if you need technical help, the company answers all questions VERY well with English speaking people!!! Highly recommend their products to any company this helpful should do very well. User: Ken Seay from Durango, Co. I bought this calculator to take to my AWS Certified Welding Inspector exams. I did not miss any math or conversion questions and am now a CWI. Been using for a number of years very good. Once you master the layout you will wonder why you waited so long to get one.